An innovative new tool aimed at both home owners and installers has been launched by Baxi. By using their boiler efficiency calculator home owners can see the potential savings to be had installing an A-rated new boiler. As recent research has revealed, most energy consumers are concerned about rising energy bills and more specifically what they as a household can do to reduce their energy consumption and lower their heating and hot water bills. Baxi boilers are known for their reliability and efficiency and with Baxi’s boiler efficiency calculator you’ll be able to see exactly how much you could save with a modern condensing boiler. Simon Osborne, Baxi’s Head of Product Management said the launch of the calculator demonstrated the company’s commitment to helping households drive down their fuel costs by becoming more energy efficient. “The Baxi boiler efficiency calculator at last provides the installer with more accurate facts and figures to take to their customer, highlighting the benefits of replacing their old and tired boiler,” commented Mr Osborne. 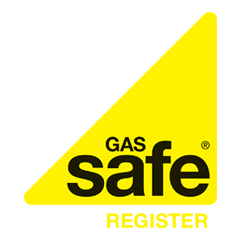 In other news Baxi has revealed that up until 31 December 2012 every Baxi Duo-tec Combi GA boiler – incidentally the manufacturer’s most fuel efficient model – to be installed will benefit from a free five year parts and labour warranty.